Cambridge University Press, 9780521871372, 464pp. 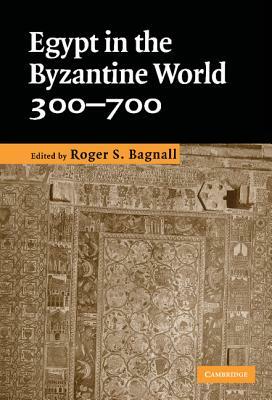 Egypt in the period from the reign of the emperor Constantine to the Arab conquest was both a vital part of the Late Roman and Byzantine world, participating fully in the culture of its wider Mediterranean society, and a distinctive milieu, launched on a path to developing the Coptic Christian culture that we see fully only after the end of Byzantine rule. This book is the first comprehensive survey of Egypt to treat this entire period including the first half-century of Arab rule. Twenty-one renowned specialists present the history, society, economy, culture, religious institutions, art and architecture of the period. Topics covered range from elite literature to mummification and from monks to Alexandrian scholars. A full range of Egypt's uniquely rich source materials - literature, papyrus documents, letters, and archaeological remains - gives exceptional depth and vividness to this portrait of a society, and recent archaeological discoveries are described and illustrated.